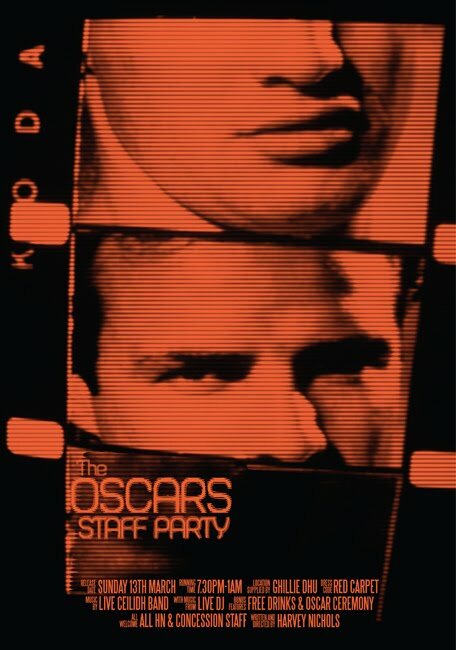 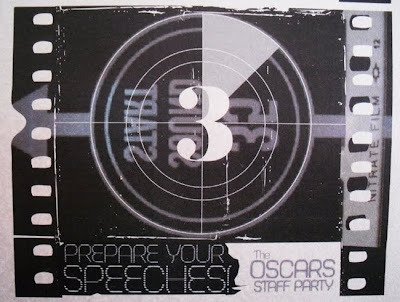 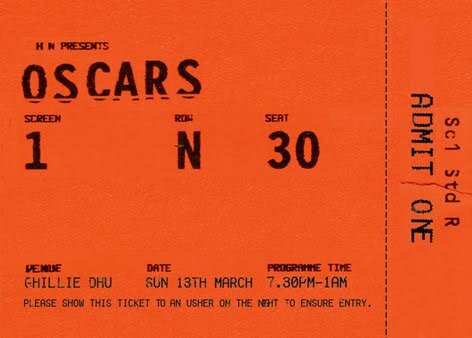 I was asked to produce a poster and ticket for the annual staff party which was Oscar themed. I wanted a Lynch-ian feel to the posters; a cold, dislocated, slightly nightmarish quality similar to his film Inland Empire. 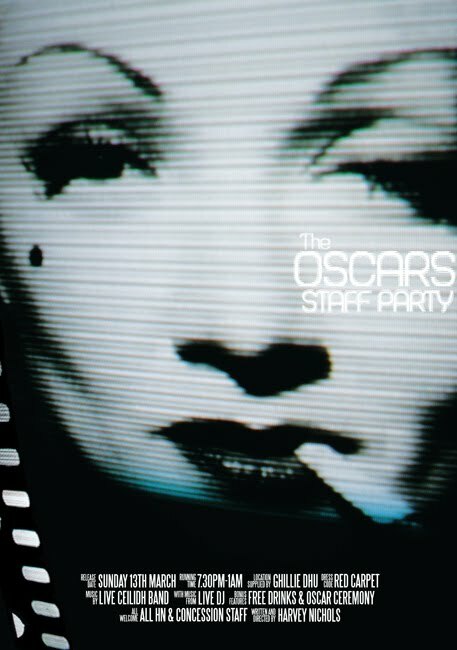 Black Swan was up for several nominations and I enjoyed the references it made to older films such as All About Eve about actors and actresses being left broken by the Hollywood machine. I photographed images of classic film stars Marlon Brando and Marlene Dietrich as their faces seemingly ran through a projector reel (actually my own TV set which created the lines which helped to break up the photo). 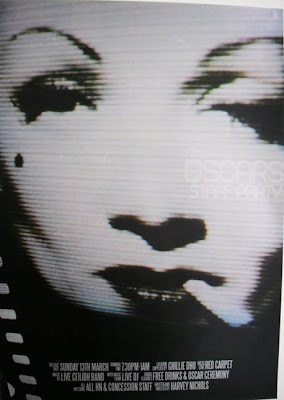 I liked the idea of an 'image of an image' which references my favourite artist Andy Warhol. 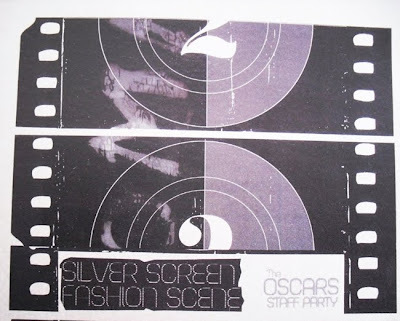 I originally produced them in full colour but then decided to print them on to a silver paper stock which has connotations of the 'silver screen' and again Warhol's silver canvases which featured stars of the time, blankly staring back at the viewer dead eyed. 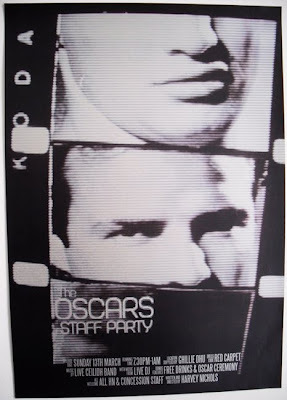 I also created a series of teaser posters that were put up a couple of days before the Brando / Dietrich images to whet the staff's appetite. 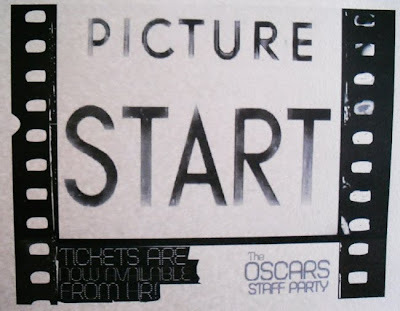 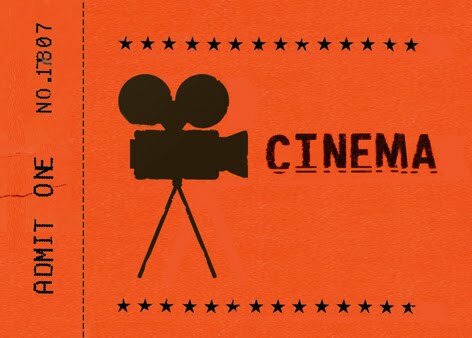 I used an old movie countdown that you may have seen at the cinema years ago. For the ticket I reproduced an old cinema ticket which was perforated and then ripped by an attendant who was working on the door the night of the party.